Pregnancy. By the time I was pregnant with my first baby, I was ecstatic to finally be carrying a baby for longer than 8 weeks. I had longed to be in this place for what seemed like forever. What I promptly realized was that I knew a lot about babies, but I knew nothing about being pregnant. No one talked much about this phase. For some reason, I think women avoid this topic altogether. Maybe it is because we forget so quickly how hard being pregnant is, or maybe it is because we don’t want to admit that it isn’t entirely easy. As thrilled as I was to be pregnant, I also found it very challenging. 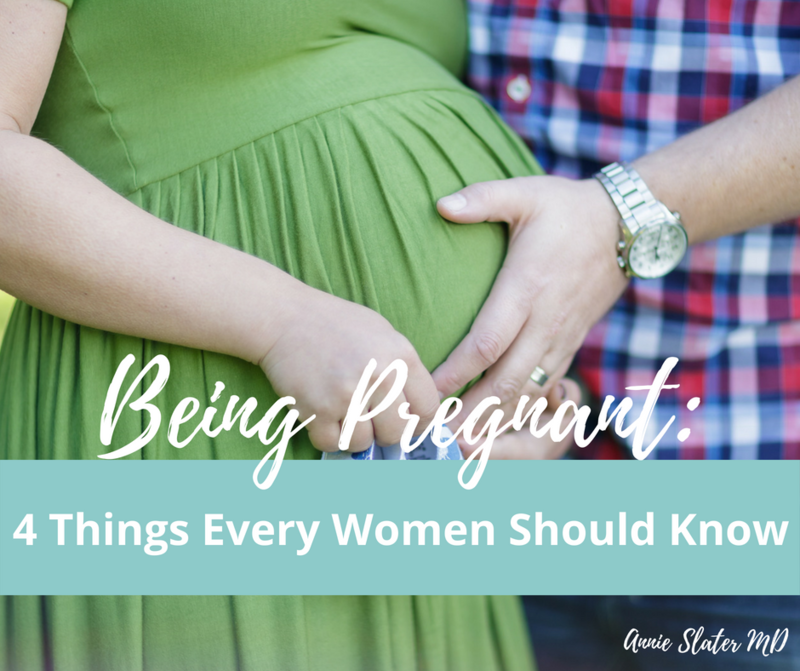 Now in my second pregnancy, I am quickly remembering the parts that were particularly difficult, and reminding myself so I am not surprised when these issues come up. I want to share what I struggled with for all my female friends, and for all the men who have no idea what we deal with. I am hoping to broaden basic understanding so we all have a little more empathy and compassion for the pregnant women in our lives. 1. Pregnancy forces you to take care of yourself. This is a very hard thing to swallow for those of us who have been conditioned to ignore our needs. Particularly in the first trimester, pregnancy is very tiring, and to my surprise, it elicited an exhaustion that I had never experienced nor expected. In medicine, we learn to beat ourselves and our bodies into submission throughout our career. Eighty-hour work week in residency? Learn to function on less sleep. Busy day in the ER? Don’t eat (save time), and don’t drink very much so you don’t have to go to the bathroom (also save time). It sounds kind of crazy, but it is exactly how we physicians think. I did not expect pregnancy to be different–meaning I fully anticipated powering through any problems. But it didn’t work that way. When I got pregnant, for the first time in my life, I could not force myself to do anything. My body needed rest so badly that it did not allow me to press my ‘over-ride’ button, as I had so frequently done in training. It was incredibly frustrating, but also really eye-opening. I actually needed to rest when I was tired. I could no longer wake up at noon after an overnight shift and expect to function. I also needed to eat when I was hungry, if I didn’t I would feel so ill that I couldn’t function at work. My previous tactic of not eating during a busy shift became impossible. The hard and profound lesson I learned was that I had become accustomed to ignoring my body and it’s needs, and that I had abused myself in this way since medical school. This experience has totally shifted my perspective on how we function and cope as physicians as well as our expectations of our trainees. At this point, I really do not want my students, residents, and fellows to develop my habits or my complete obliviousness to this as a problem. I am embarrassed that it took me getting pregnant to be more aware of my own needs, and subsequently the needs of my team. In addition, being pregnant as an attending physician was hard enough, but I work and have worked with dozens of women that were pregnant in training, ie residency or fellowship. I am not sure how any of them have done it, with the insane work hours and all the needs of the pregnant body. I have developed so much empathy and respect for my female colleagues as they experience pregnancy. We should all be working toward better conditions for them, as well as giving them a break whenever possible. 2. Pregnancy is really hard, and during this time it is common to develop self-doubt and self-judgement. You are actually growing a tiny human! The thought of this alone is insane. The inability to seemingly do everyday tasks due to exhaustion often creates feelings of inadequacy and self-judgement, with statements like, “what is wrong with me?” I know that I felt as though I wasn’t doing my job as a mom when I was too tired to cook dinner, or when I needed to go to bed really early, letting daily household tasks go undone. In addition, our mood fluctuations can be daunting and overwhelming. Being unable to fully control or understand our emotional responses creates a feeling of “why do I feel so crazy?” Which can also create more self-judgement as we feel as though no one else is experiencing pregnancy in this way. I cried probably every other day during my first trimester, sometimes it was because my toddler didn’t hug me in the morning, or because my husband forgot to make me coffee. All very insignificant things, that elicited what I felt to be a overreaction in me. 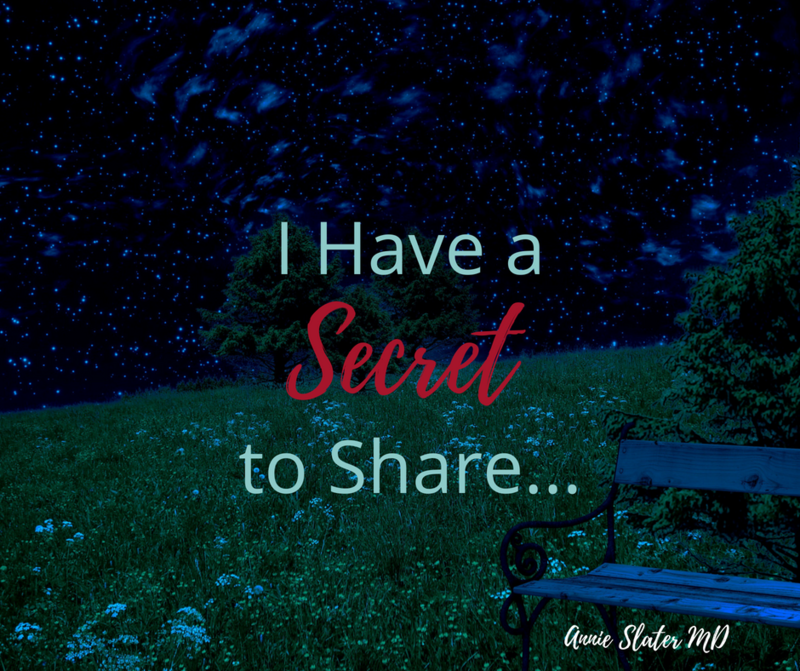 In order to help one another through these challenges, I think it is important to share as many stories as possible. If you are talking to a pregnant woman, let her know what you struggled with during this time. The last thing we need to hear is how painless everyone else’s pregnancy has been. What we do need is to be empathized with. 3. Body image issues are alive and real. For me, I had pretty much maintained the same weight during my adult life. I had also worked hard to eat right and exercise frequently. Then came pregnancy. This is a special time, when you are supposed to gain weight, which is good and healthy. Unfortunately, due to long-standing messages about weight gain, this process didn’t feel good and healthy, it felt wrong and inappropriate. Being pregnant and gaining weight that first time was totally destabilizing to everything I thought about weight and health. Seriously. I know my body and every inch of me. I know exactly how tight my jeans are, and when I need to cut out the chocolate and replace it with an extra hour at the gym. In pregnancy, we are supposed to get big and gain weight and it all happens in a very short period of time. During my first pregnancy, I realized how obsessed our society is with weight. I also realized there was quite a bit of self-judgment on this topic as well. I scrutinized the amount I gained, compared myself to others, and hoped that I would be able to get ‘my body back.’ I think there is too much unnecessary pressure around weight and pregnancy, and a lot of the pressure is self-induced based on our upbringing in a image-obsessed society. It is important for women to take a deep breath, stop looking at the scale, and realize your body is doing an amazing thing. When I struggle, I remember what my husband tells me, which is ‘Pregnancy is beautiful and feminine. You should not worry about your weight.’ Love that guy. 4. Pregnancy elicits a lot of fear. So much fear. Fear of miscarriage, fear of genetic abnormalities, fear of going into labor early, fear of still-birth, postpartum depression and SIDS. The funny thing is, fearing the inevitable or the uncontrollable, is a waste of time. So instead of sitting in fear, I choose to bask in love for my baby and hope that none of the unfortunate happens. I also had a deep fear of our quality of life going down. I really love to sleep, and I really like my down time. Someone told me I wouldn’t sleep for weeks after delivery. That was a scary thought. People also were not very encouraging with statements like, “so sorry for you, life is going to change…” Especially when the ones making these comments were people with children! I was afraid that maybe we were making a huge mistake. Maybe we were just supposed to be the really cool aunt and uncle. Not like we could have changed the trajectory, but I was terrified. Then I had a friend who told me, ‘people are going to tell you all this stuff to make you so nervous and afraid, but in reality, it’s the best thing ever.’ Lucky for us, having our son was the best thing ever. Instead of instilling dread in expectant mothers, I have chosen to be encouraging and share my excitement. Isn’t that what we all wanted when we were pregnant? The thing is in the end, all the fear, moodiness, changes, body issues become inconsequential once the baby is born. Maybe that is why we don’t talk about it as much. My body changed back, but I also became less concerned about whether my jeans were too tight. The emotions stabilized, and the fears slowly subsided. I became better about taking care of myself, and then better at taking care of others as well. I developed a new-found compassion and empathy for other women, other pregnant women, and all of their struggles. Judgment is unavoidable in society these days. But you can choose to internalize that judgment or not. I remember hearing someone say once, ‘someone else’s judgment is none of your business.’ Which is true, right? Think of a situation where you have judged someone else silently. Aren’t our judgements of others really just fears about ourselves that we project? So stop worrying what others are thinking. It’s actually none of your business because it is really about them, and when push came to shove, they would never want you to know anyway. Anything else? Is there anything I missed that you think I should have included in my advice? Camp Korey’s summer season ended just last week. With it also ended my tenure leading their medical program. It has been a truly bittersweet ending, as I will miss the long hard days of making kids laugh into the evening, while also ensuring they receive the safe medical care they need. But having small children and running a time and emotionally-intensive summer medical program is untenable for me at this moment in my life. My time at camp will forever have a very special place in my heart, as will all of the friends I have made along the way. I am a better doctor and a more compassionate human being for spending my summers there. I also learned a few things that I will never forget. You know, that thing in your back pocket that tells you not to be silly? I know, we all want to ‘not look stupid,’ and make sure that we are ‘mature’ with our doctor title, but camp is the place to let it go. To not worry what other people think. There is too much judgement in society. The kids at camp are suffocating from judgment, they are the kids who are different, and all they want is to be themselves and be accepted. It is not surprising that children model how adults behave. So at camp, it is vitally important for us to wear funny hats, cheer as loud as we can, and dance as if no one is watching. At camp, no one cares whether you can dance… what matters is that you are dancing, having fun, singing and throwing spaghetti during Silly-O (a massive food fight). Most of the kids that come to camp don’t have places that feel safe to them. As I mentioned earlier, there is a lot of judgement in the world. If you are a child that looks different, needs frequent medications, or spends a lot of time in the hospital, life can be extremely challenging. For these kids, it is very hard to have friends, to have “play dates,’ to go to birthday parties or sleep-overs. At camp, the medical team makes sure ALL the camper’s medical needs are taken care of, and taken care of in the background. So there is no anxiety about ‘how will I get my medicine?’ Or, ‘what if someone sees my scar?’ Every child at camp has something that brought them to camp, so it becomes this harmonious place where children feel accepted in a way they haven’t outside of their home. It is often life changing for them. The word community can mean different things for different people, but I feel as though it is being a member of a group that really appreciates my presence, and one that I choose to go back to. It is a group of people who I care deeply about, that cares about me as well. Every camp season required the recruitment of 50-80 volunteer nurses and 15-20 volunteer physicians. Our volunteers came from all different aspects of medicine, I had NICU nurses and adult critical care nurses, I had orthopedic surgeons and dermatologists. Once at camp, our identities and our white coats or our scrub tops get stripped away and replaced with camp T-shirts and funny hats. It felt almost like college, where we lived together, worked, and shared all of our meals together. In this environment, we developed relationships that were impossible within the confines of the hospital walls. We were a family, pouring hundreds of medications each Monday, working late into the evening each day and becoming friends. These awesome professionals donated their time and usually would take vacation to come to camp. Every single year. These people chose this community, and they also choose to return. I know these individuals better than I know my colleagues, because you learn a lot about someone when you spend a week with them. I consider these friends to be life-long because we shared such wonderful, challenging and inspiring times, and I also believe they are the gems of the medical profession. I adore each and every one of these people. There was always so much hard work and integrity demonstrated by the medical teams. I knew that I could promise families we would take the best care of their children during each session because I always had fantastic volunteers who were the ultimate compassionate professionals. With silly hats. This is the genuine truth. At Camp Korey, there are actually college students that do this and they get paid very little doing so. Our counselors would work about 80 hrs/week, only getting Saturdays off, for 8 weeks. Their jobs not only involve being big siblings to our campers, but making sure everyone is having fun and no one is being bullied. They are responsible for ensuring our campers get showers and have assistance toileting (if they need help) and have sunscreen applied EVERY DAY. They learn about all of the medical conditions prior to each session, so they understand what to expect. We have campers with massive food allergies, and our counselors were responsible for ensuring all of the kids with special diets only got “their” food. Which is really hard when everyone else eats ‘family style!’ They carry epi pens and inhalers in their backpacks for the kids that might need it during the daily activities. They plan “sneak-outs’ for the older campers, so they get to experience a little bit of delinquency. Every night, they have “cabin chat” to talk to their campers, process the days’ events and teach the campers about lifting one another up and giving each-other warm fuzzies. I don’t think I could have been a counselor when I was their age. But, I feel lucky to have been able to witness such unadulterated compassion by such young souls. Watching the counselors be such admirable human beings makes one have faith in society. I lived forever in the field of medicine, where you are lucky if you eat. I currently work in an emergency department, where I am still lucky if I get a moment to shove something into my face. At camp—everything stops for mealtimes, three times a day! Our entire schedule is based around our meals. Even if there is a sick camper, someone on the medical team brings food to the medical center to ensure those on duty get fed. We all need to eat, and we especially need to prioritize eating during an active summer camp with kids who are medically fragile. I learned that I need to eat, too. I learned that my ability to take care of others is way better when I am taking care of myself first. I also learned that it helps to have a bunch of your friends standing by, caring about you and making sure you get fed. A big part of camp is giving away warm fuzzies to our friends at camp. Each camper, volunteer, and staff member has a paper bag with their name on it. Throughout the week, we write little notes to each other, congratulating a camper for being brave by climbing the rock wall or thanking a volunteer for calling a parent or trouble-shooting a g-tube. This translates to living in a space of gratitude and the act of constantly trying to find something to thank someone for. It is a very rich way to live. I found that my perspective changed, and instead of being concerned about what was not going well for me, I was constantly celebrating our wins as a team. We should all be giving each other warm fuzzies on the daily. I loved seeing these super courageous children take risks. Just attending camp is scary. Then these kids get here and make friends and climb really tall walls and dance and eat strange food. It must be terrifying for them. At the end of the week they would then get on a stage and show off their talents. It was always beautiful and always inspiring. I learned a lot about courage watching campers overcome their fears. I was lucky to spend 6 summers at camp. Some of those were as a volunteer, most were as the Medical Director. 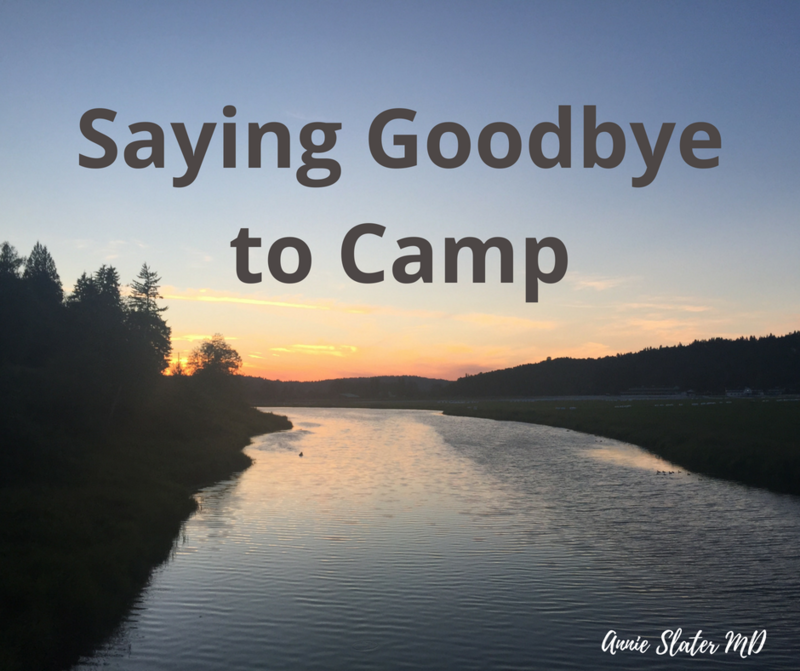 I am so sad to be stepping away, but I know that camp will always be in the background, as will the memory of my time there. I will always believe in the mission and I will always support the cause. I hope that if you are interested, you would get involved as well. Thank you SO much to all of my camp buddies. You are the best, and I will always cherish our time together. I am terrified of saying this phrase aloud or seeing it written in black and white, for fear that doing so would somehow tempt fate. And then tomorrow, of no fault of my own, I start bleeding and cramping. Which is then inevitably followed by grieving and shamefully blaming myself for being unable to stay pregnant. The one thing it seems every other female I know does effortlessly. The truth is, not all women I know stay pregnant effortlessly and without fear or anxiety. I know this intellectually, but when my hormones are high, and life feels so incredibly out of my control, I feel really alone. I also feel incompetent and almost ‘less of a woman’ because of my struggles and failures. If I don’t say it, then maybe I can keep it a secret for a while. I can live in the space between acceptance and disbelief. This is the space where I don’t have to commit to a stance, it’s the grey area, the unknown. In this space it feels that it is possible to suspend time, to breathe, to allow hope and to allow faith to enter. Then I can make room to allow the little embryo to figure it out for themselves. I can press ‘pause’ on my fear of having tragedy strike again, which feels like being the object of life’s cruel joke. In this space I don’t have to explain to anyone how that little faint line on the pregnancy test means looming disappointment more often than not. If I keep my pregnancy a secret and I miscarry, then I don’t have to apologize for making anyone feel uncomfortable for showing my grief. Ironically this situation can often feel lose-lose—If I acknowledge it and something bad happens, I have to deal with having to explain grief in a palatable way to the public. On the other hand, not openly showing excitement somehow feels like I am abandoning my own child by withholding love. This dynamic can become an emotional prison. So I’m just going to wait a little longer. I am going to live here for a bit– spending my evenings silently cheering on the cluster of cells that made it to day 35 and going to bed early so my body can rest. I will be sneaking moments of quiet to myself so I can feel the love for this little person rather than sitting in fear of the worst case (and unfortunately common) scenario. I will allow myself to move through my fear rather than allowing it to encompass me and know that it is ok to shed a few tears for this little embryo, fighting in its own way for survival. For the record, I choose love. The emergency department is quite possibly the most exciting place in the hospital, but it can also be the most challenging and chaotic. Patients arrive at all hours of the day, families are scared and frustrated to be there and sometimes we can’t work fast enough to take care of everyone in a timely manner. We are also constantly taking phone calls from other institutions to help decide whether a patient from another hospital needs to come to us, and how (helicopter, fixed wing, or ambulance). Needless to say, it is a stressful environment. Sometimes stress can make us (any one of us, from a resident, nurse, attending) anxious. Sometimes this anxiety manifests by treating members of our team poorly. When I discussed our shame culture, I talked about this a bit. I used to get really anxious when the ED got busy, especially if I was fielding lots of phone calls, and felt as though I was being spread too thin. There is nothing scarier than to think I might miss a diagnosis or not see a physical exam finding because I am too busy. I used to translate that anxiety into barking orders and being impatient with my team, which unfortunately, only increased anxiety! I have since learned how to improve my interactions and communications with my patients and colleagues. But I know all too well how easy it is to project these feelings onto others, and sometimes it is also hard to recognize we are doing it. Recently I had a patient that was sent to us for subspecialty care. My senior resident tried to discuss the patient with the consulting physician. Unfortunately, this particular consultant treated the resident with irritation and general nastiness, asking some slightly irrelevant questions she didn’t know the answers to, then shaming her for her lack of knowledge. He also told her it was ‘inappropriate’ to call him when she was ‘unprepared.’ This kind of interaction (consultants being exasperated with patient consults) is quite common in our field and brings me back to my shame post (which describes in better detail how this manifests). I don’t always have the opportunity to give feedback to the perpetrators of this behavior, partly because I am not always aware it happens, or I get busy with my day, and it gets forgotten. 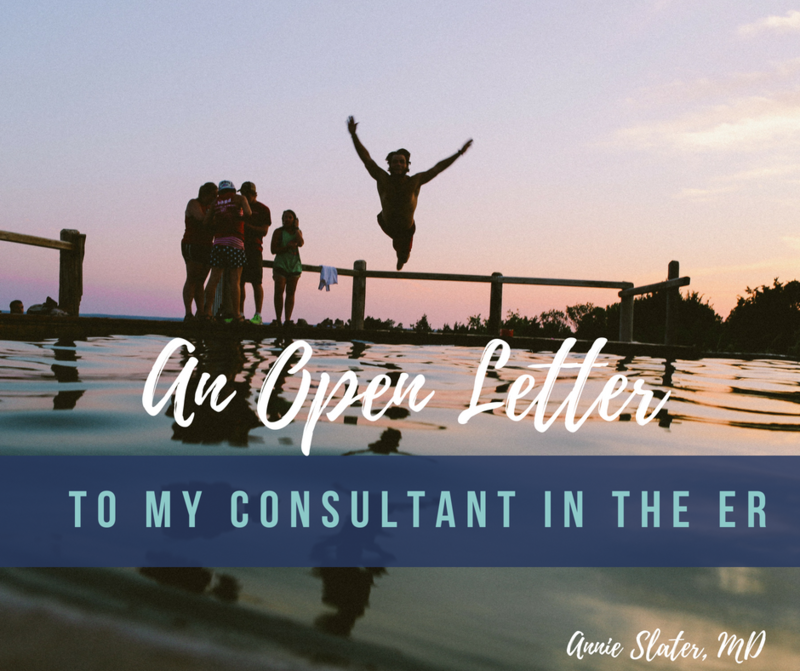 This blog post is for my angry consultant. For what it’s worth, please know that I recognize we both have really hard jobs. I know that deep down, under the years of clinical practice, you and I really are the same person, bright-eyed and big hearted, who entered into this magnificent career of medicine with a desire to help others and possibly change the world. Our jobs turned out to be a lot harder than we pictured they would be in those days. We sacrificed time and relationships, and life moved quicker than we anticipated. The cost to continue in this career has interest, and the rate routinely increases, with no one asking if we have the ability or stamina to pay. I see you. We are the same. But for some reason, you have found joy in making others around you squirm. Your ego feeds off of the power this gives you, and it makes you feel entitled to treat others as ‘less than.’ You get frustrated that no one understands the pressure, that every minute of your day is spoken for, and you act on that frustration by being mean. I promise when you enter my world, there is no judgment. I know you are doing the best you can, and behind the delayed response to your page is a list of patients, a scared parent, and your own family at home. Everyone is asking for a piece of you, but no one is really appreciating the place you are in, the struggles you have. I promise to see you with the same compassion I see my patients. I promise to thank you for coming by, that I truly appreciate your expertise. I hope that maybe someday you can see me, too. Know that like you, I really try to do the best for my patients every day. I try to only call you when I am worried about a patient, or concerned about the family’s ability to get answers and navigate our difficult health care system. I see you. I care about you too. Maybe next time you can show me a picture of your dog, or your vacation, or your children, and we can talk about how hard it is to be a doctor, a parent, a friend and how it never feels like enough. How sometimes we give our best self to our job, and how it always feels like someone is getting short-changed. We can’t forget those people we once were, the bright-eyed ones, that jumped into this crazy field. We are all in this water together, sometimes it actually feels good to help one another swim.